At 7,277 ft the summit of Monte Baldo is the highest of all the Lake Garda mountains, it’s unmistakeable 40km ridge runs along the north east shore of the lake. Monte Baldo spans the two Lake Garda regions Trentino and Veneto, from the Loppio Valley in the north to the Caprino plains in the south. It’s location and altitude combined with he unique effect of the Alpine-Mediterranean geology and climate make a trip up Monte Baldo a ‘ must do’ on a Lake Garda holiday. For those visiting Lake Garda on a walking and hiking holiday or a mountain biking holiday Monte Baldo is a fantastic destination with routes for all levels. Monte Baldo is also popular for those who partake in Paragliding and in the winter months skiing and snowboarding. But even if you are not interested in any of the sports mentioned above a trip up Monte Baldo will still provide you with a fantastic and memorable experience. The diverse nature and the stunning views provide endless photo opportunities and will make a trip up Monte Baldo a day to remember. The fresh clean air and the trip up on the Monte Baldo cable car are also reasons to visit Monte Baldo. Monte Baldo is reachable by the Funivia (cable car) at Malcesine. There are special rates for mountain bikers, para-gliders, senior citizens and children. Click here for the fare prices. 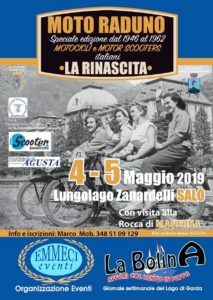 For more information visit Funivia Malcesine Monte Baldo. I am holidaying in riva del Garda with my husband and 15month old son. We would love to do the cable cars and am looking for information on this. Do Ye pick up from hotel? Also I’ve read about queues for cars, how long app do the queues be? Hi Niamh, you will need to ask your hotel to arrange transport to the cable car, or take the ferry to Malcesine from whichever town you re staying at. To avoid long queues you should arrive early for the first cars……during the high season at peak times you can expect to queue for longer than an hour. Hi, We are attending a wedding in Malcesine in April 2018and want to take the cable car. Is it open in April as one translation suggests it might be shut as it is only open 10 out of 12 months? I’m sure it will be open, where did you find the translation saying it will be closed?